The Zipper Braid is a unique twist on the traditional cornrow braid. This style takes more time and there is a special technique used to create the "zipper" effect. 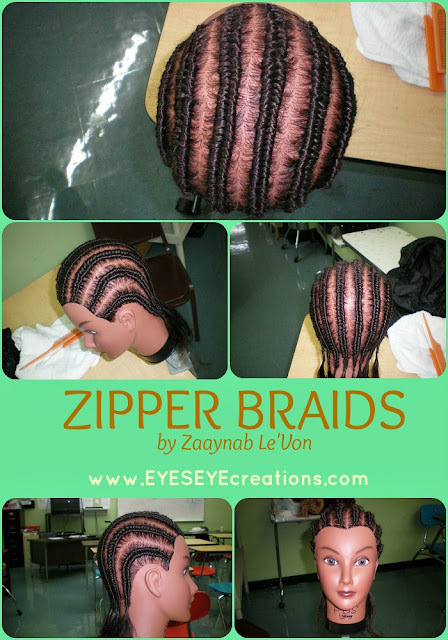 The collage above shows the Zipper Braid without any hair extensions added but this style can be done with hair extensions as well. Click HERE to set an appointment. Click HERE to view other styles and a list of prices.